Sunday, December 16th at 10:00 a.m.
Join us December 16th in the Sanctuary when the NSUMC Music Department presents “A Carol Fantasia” by Benjamin Harlan. The Chancel Choir, our children and youth choirs, Kids of Grace and AngeliX, and the NSUMC Handbell Choir will participate, accompanied by a musical ensemble of brass, percussion, piano and organ. We hope you will join us for this most sacred and traditional event. Come celebrate the third Sunday of Advent with this special performance. The Cantata is best suited for children ages 12 and up. North Scottsdale United Methodist Church is offering One Room Sunday School in our fellowship hall during the 10am service on Sunday, Dec. 17th while the adults are in the sanctuary enjoying the CANTATA. NSUMC will not have children’s moments or the regular Sunday School that day, instead all children ages 3-18 are asked to join us in the fellowship hall (the large room just east of the sanctuary where the coffee and snacks are located). Please send your children over (or walk them if that is more comfortable for you). Two-year old’s may visit the nursery. NSUMC is hosting a Mad Science Winter Experiment Experience. You know your child and what works best for them. They are welcome at either experience. North Scottsdale United Methodist Church celebrates the love of God through Christ by having two services on Sunday (8:30 am and 10:00 am). Sunday school and the nursery are available for newborns through twelve-year-old children at both services. Youth Sunday school (grades six through twelve) have Sunday school during the 10:00 a.m. service. Some of the other children and youth activities include; children’s choir, volleyball, mission trips, small groups, festivals and youth groups. N.S.U.M.C. also offers adult Bible studies, men and women’s groups, choirs, retreats, holiday events, turn-around trips, mission trips and more. If you are interested in additional information about N.S.U.M.C. or any of these events, please call the church office at (480) 948-0529; visit them at 11735 North Scottsdale Road (85254), check out our websites (www.nsumc.com or www.nsumckids.info ) or find us on Facebook and Pinterest. Join North Scottsdale United Methodist Church on Sunday, December 16 at 10:00 a.m. in the Sanctuary when the NSUMC Chancel Choir presents The Incarnation. The Chancel choir, under direction of Darin Read, will be accompanied by brass, timpani, and organist Donna Marie Hartley. Sunday, December 18th, 2016 --- 10:00 a.m.
North Scottsdale UMC Chancel Choir will present "The Christmas Light" with full orchestra and narrated by Senior Pastor Nancy Cushman on Sunday, December 18, 2016 at 10:00 a.m. in the 600 seat sanctuary. Children are welcome to enjoy the Cantata but we also have a Mad Science WInter Experiments option in the fellowship hall. Click here to read more about the children option. From the hopeful darkness of early Advent to the heavenly radiance of the birth of Christ, "The Christmas Light" masterfully conveys the wonder of God's promise fulfilled. Subtitled A Masterwork Cantata For Advent Or Christmas, this is a superb cantata of great quality. The choruses are adapted from the works of J.M. Haydn, Mendelssohn, Mozart, Praetorius and Schubert, as well as Christmas carol melodies of Gruber, Handel, Mendelssohn and Wade. The performance includes narration and biblical passages. 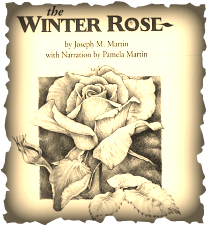 North Scottsdale UMC Chancel Choir will present "The Winter Rose" with full orchestra and narrated by Senior Pastor Nancy Cushman on Sunday, December 13, 2015 at 10:00 a.m. in the 600 seating sanctuary. "It is our sincerest prayer that as Christ, the Rose of Sharon, opens before you this Christmas, your spirit will be encouraged by the beauty of God's greatest gift. Let the words and music of this cantata remind you that even in the deepest winter, we are people of joy and life...children of the garden" -Joseph and Pamela Martin. This is an orchestral performance that the youth in middle and high school will appreciate. The Director of Christian Education will offer one room Sunday School in our Fellowship Hall and will show a Christmas movie as an alternative for the younger children. 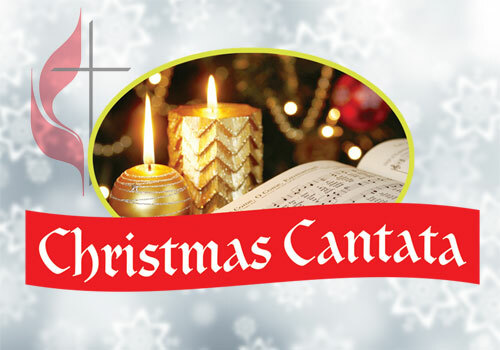 The NSUMC Sunday School staff is invited to take the morning off and enjoy the Cantata!